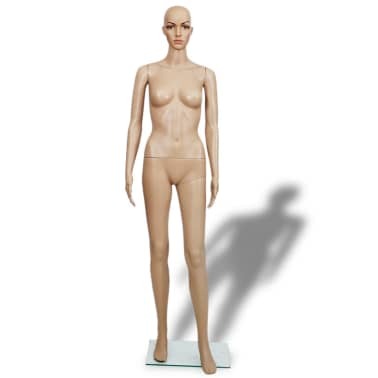 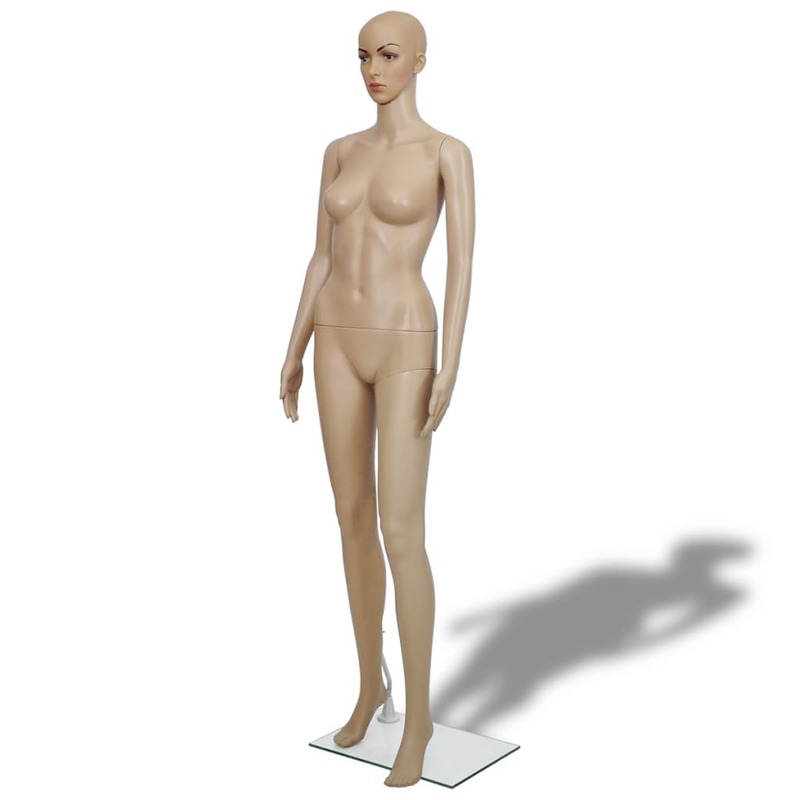 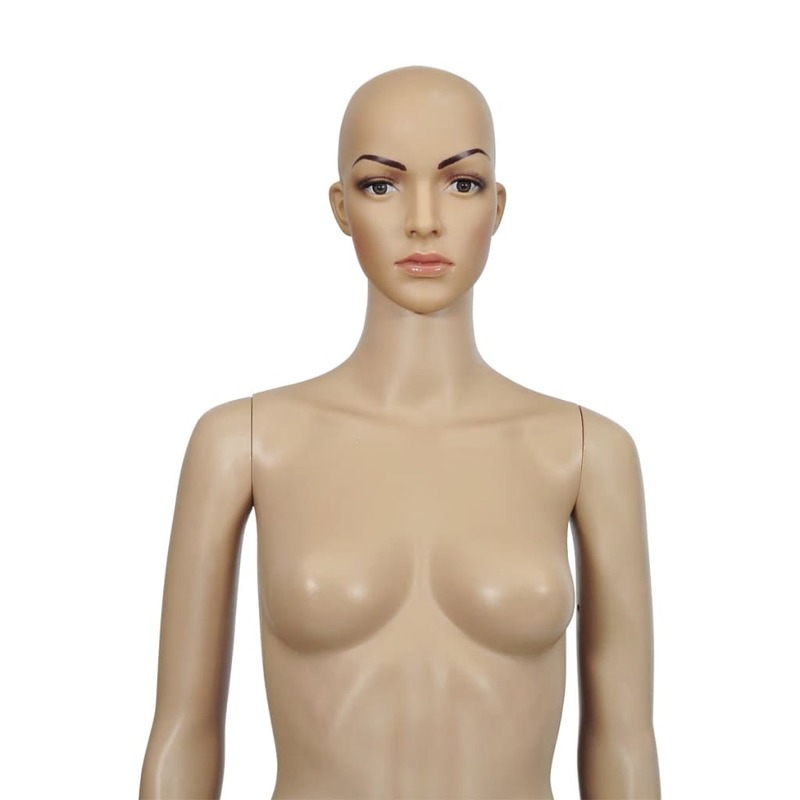 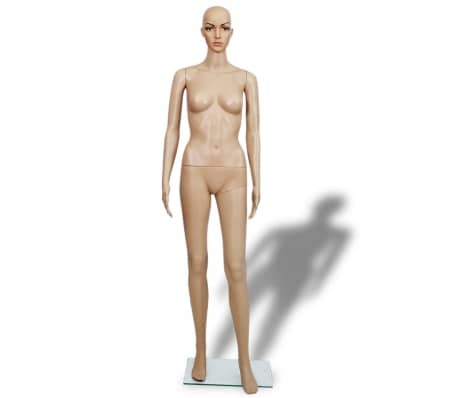 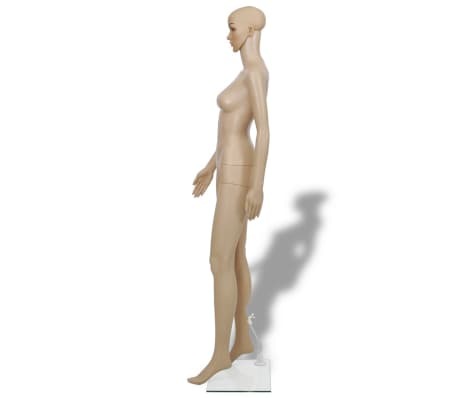 This woman mannequin can be used to present any clothes, wigs, ornaments or shoes in shop windows. 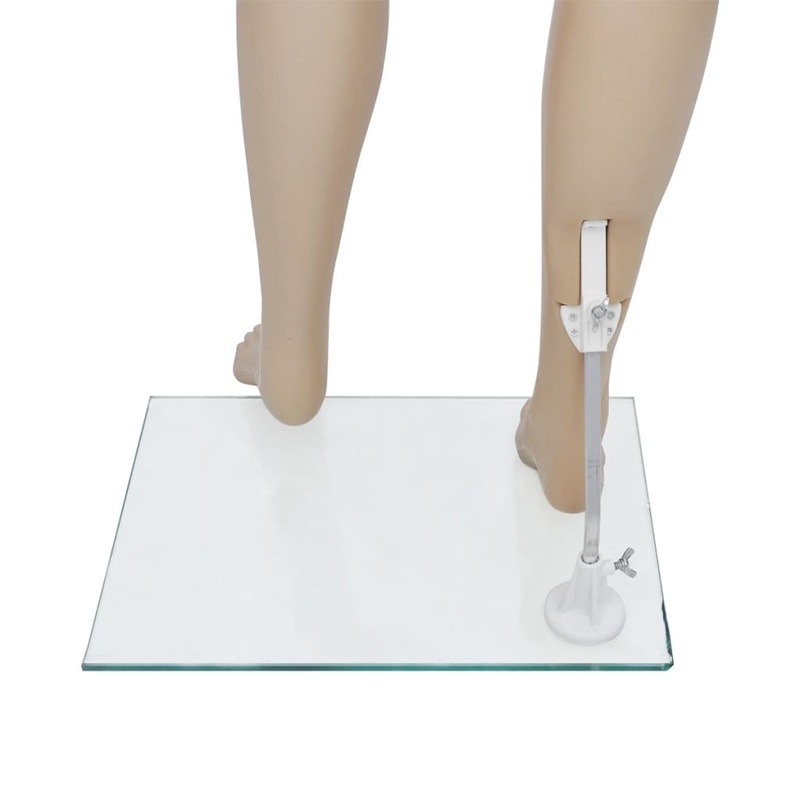 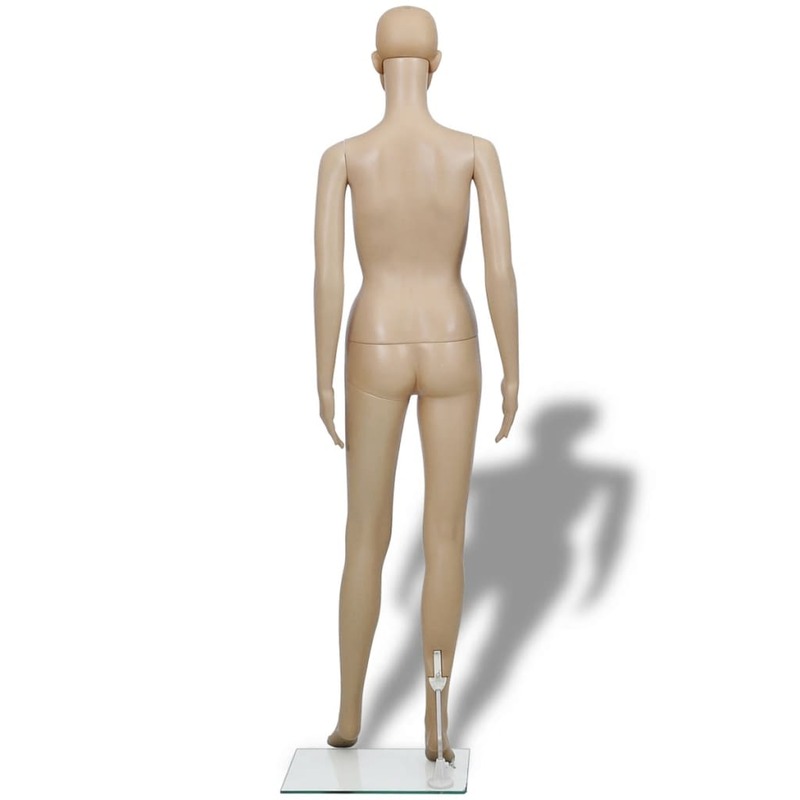 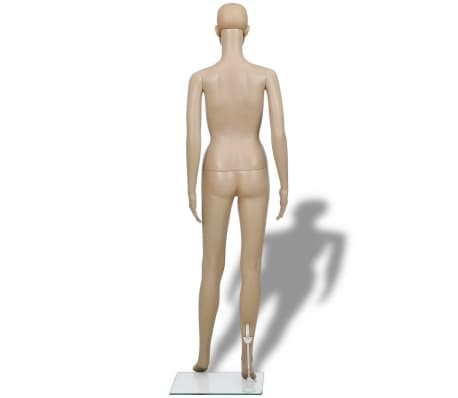 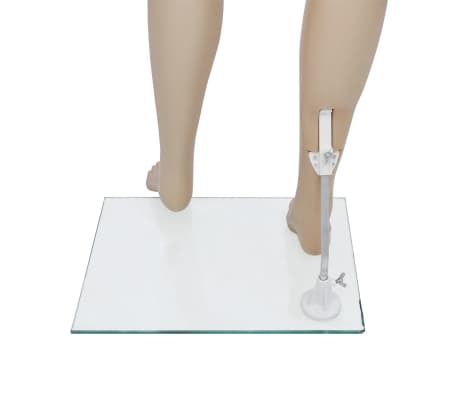 The mannequin is well constructed of 6 assembled parts: head, torso, right leg, left leg, left arm, and right arm. 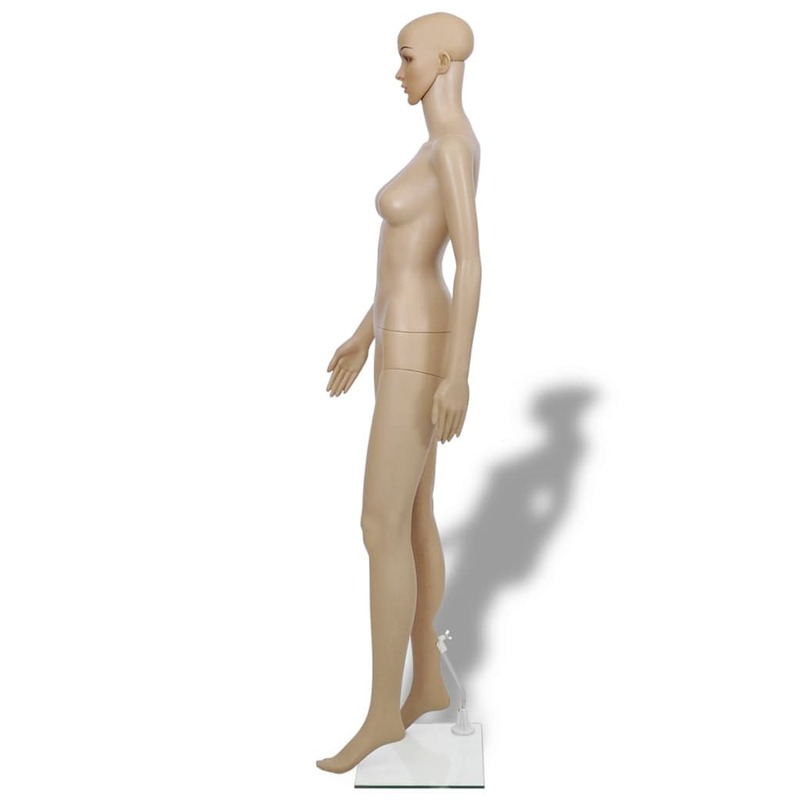 The head and the arms can be rotated by 360 ° and the face can be moved up and down by 60°. 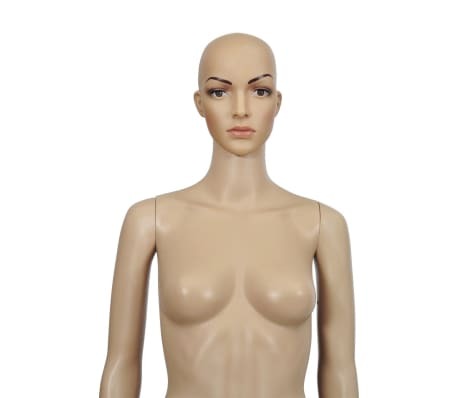 The whole woman body is made of Eco-friendly PE. 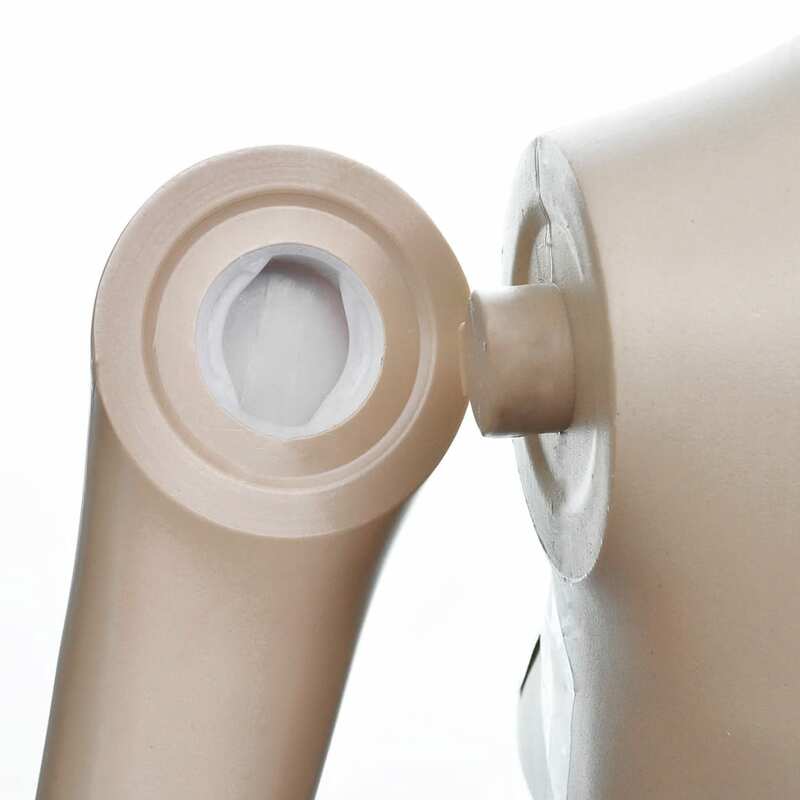 This material is not only environmental friendly but also more durable for use compared to the others like fiberglass. 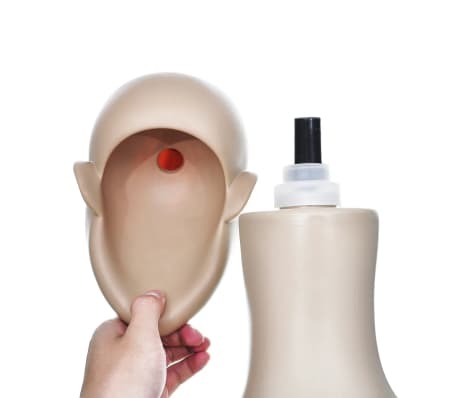 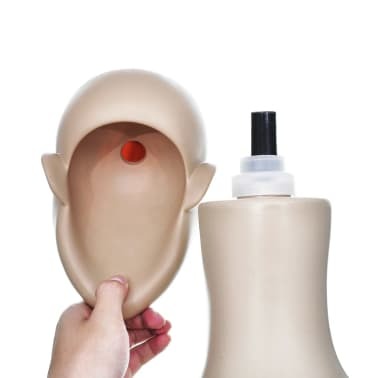 The mannequin comes complete with a glass base. 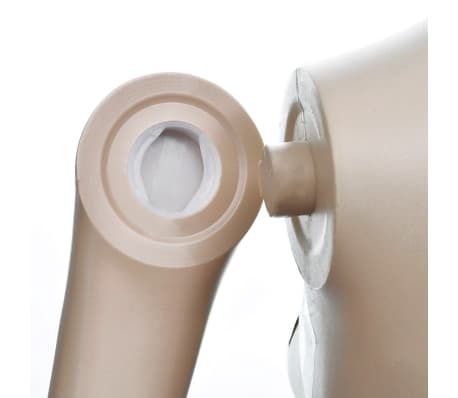 It is also supported by an aluminum stand at the back for more stability.